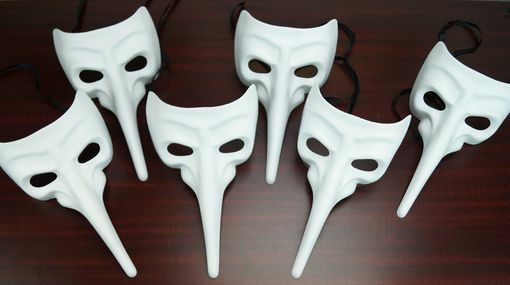 Unpainted Men's bulk casanova mask set comes with 6 masks. Mask are made of a strong durable plastic and can be painted. Mask color is white.